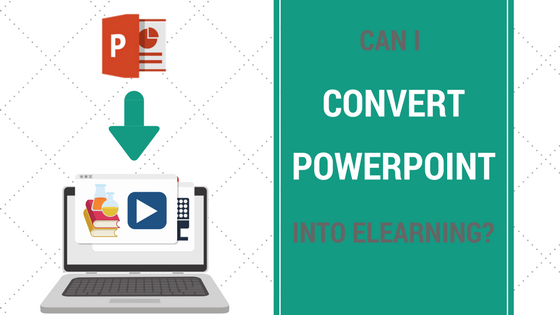 Can I Convert PowerPoint Into An Elearning Course? One of the key things you need to create an elearning course is content. In many cases people have a PowerPoint presentation they’ve used in a classroom training session. If so, you might be thinking: Can I convert this PowerPoint into an elearning course? Whilst having existing materials is a good place to start, often the PowerPoint is a simple set of slides. So why can’t this just be uploaded online? Afterall it’s got the main points in the PowerPoint. Hasn’t it? Well before you do anything – STOP. Take a breath. What will be missing if you upload the PowerPoint online? 1. Where’s the missing content? All these are usually in summary format. On their own, bullet points may not make much sense to the learner. The trainer then expands on the material verbally. Additional points explained verbally. Examples given verbally, data explained verbally and stories told verbally. All these give the PowerPoint ‘juice’. Trainers may ask their audience some key questions to engage them in the session. They might take a poll or get them to complete other activities in pairs or small groups. Again, all ‘juice’ which makes the training interesting, relevant and engaging. If you convert the PowerPoint in its current format into an elearning course, then all the juicy stuff will be missing. And if there isn’t juice, it’s not going motivate the learner or allow learning to take place effectively. Where will the examples be? Where will the stories be? What about the activities? How will they work online? Will the same activities used in the classroom work online or will new ones have to be created? For example, a group activity may not work well online if you don’t want to include discussion forums as part of the course. A question may have to be turned into a case study or multiple choice type questions, with appropriate options and relevant feedback. 2. How will you get new images? Then there are the images. If your training PowerPoint includes images, then great! As we all know, a picture paints a thousand words and gives visual context to training materials. However, in our experience most training materials include images that have either been found on Google or are basic clip art images. Whilst clip art and Internt images might be fine for presentations, when producing elearning it’s a different story. When creating elearning you’re entering the world of digital publishing. You MUST get permission to use any third party images for copyright reasons. However…this is usually a lengthy, and sometimes, costly process. So, what can you do if you can’t or don’t want to go down the permission route? Create new images them from scratch (i.e. take your own photographs or use a graphic designer/illustrator to get them drawn). 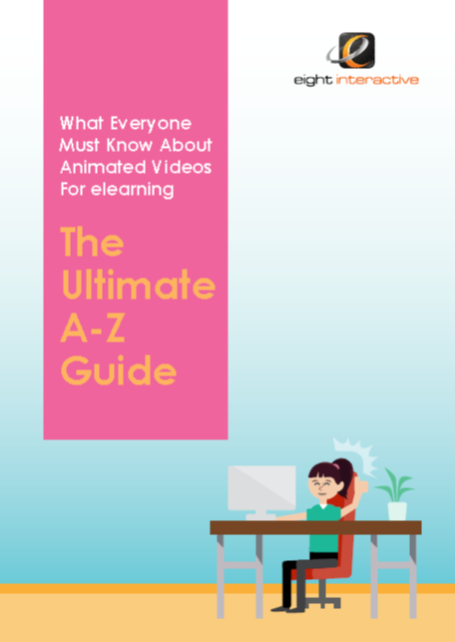 In some cases, animations may deliver the learning message more effectively. Buying or creating your own images will give your elearning a consistent and professional look and feel. 3. Is the learner’s journey clear? Are there are instructions on the slides? Is it clear to them what they will learn and why? To convert the PowerPoint into a basic elearning course, every screen will need designing with these points in mind. As a minimum. 4. Has it been given an editorial finish? Any content published for online delivery needs to be edited. It’s not just about completing a spelling check. The content will need a thorough grammar check, language check and proofread. Brief bullet points will benefit from being written in fuller sentences – especially if there is no audio to support the points. Have abbreviations and acronyms been explained the PowerPoint? Overall, does the training material read well? This process is complex, necessary and involves a lot of creative work. This creativity produces a fully interactive elearning course which has been designed to meet specific learning goals for your learners. It isn’t just a PowerPoint that’s been made available online and being called elearning. We don’t allow such imposters. Are you planning to convert your existing training materials into elearning? Book a FREE call to let us know what you’re planning – we may be able to help. How Do You Write Learning Objectives?